Osteopaths For Industry specialises in creating a range of bespoke Online Manual Handling Training and Online People Moving & Handling Training and assessment tools. These could simply be a collection of bespoke training videos for your trainers to use during a refresher session, or employees to watch as part of their Continuous Professional Development. 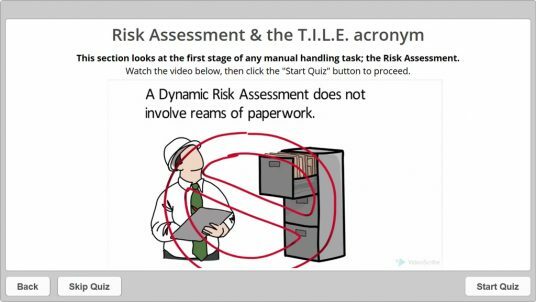 One the other hand, you may want to to create a complex learning & assessment tool, which includes management reporting or feedback to your existing LMS system. Whatever the situation, at OFI we are able to deliver you a professional, cost-effective solution. Experience API (Tin Can API). Web based system – either a full eLearning tool or simply an online library of training videos. Being web based, it can be accessible to any of the authorised users at any time, from anywhere in the world. Data CD or USB stick – either a full eLearning tool or simply a library of training videos. This ‘package on a CD/USB option’ allows your trainer to travel with the eLearning tool, or for you to distribute it to a number of users or sites, or sites that do not have internet access. Video DVD or Blu-ray disc – for playing your training videos on a normal DVD player, Blu-ray player or a computer with a DVD/Blu-ray drive. Allows you to distribute training videos to a number of users or sites, or sites that do not have internet access. 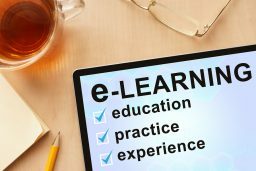 Visit the Online Training section of our website for more information on the Online and eLearning services we can provide, or get in touch with us and we’ll be happy to help.